One of the aspects of my job that I enjoy most, is talking with people about their business. Seeing the enthusiasm they have for starting it or growing it and being able to help them with ideas that could assist that growth. 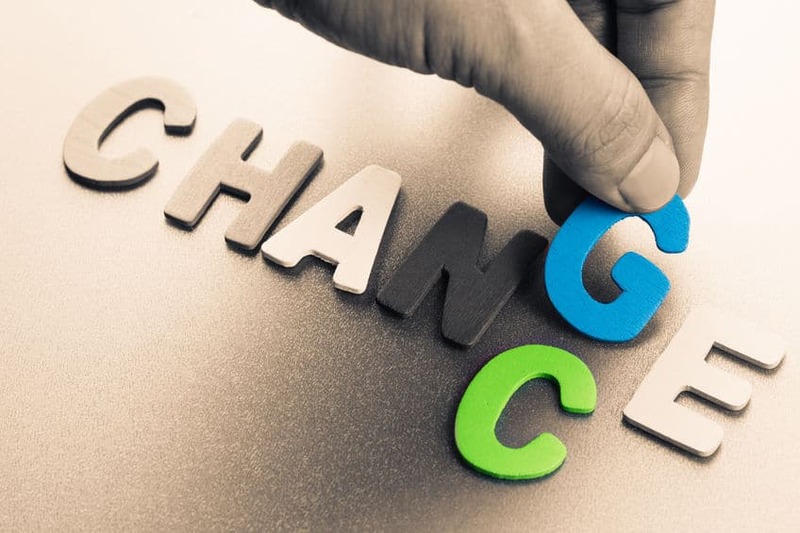 I often talk to people who when starting out had a very different perspective about how their business should operate to how they see things in the present, and so this post discusses how you can avoid handicapping yourself by planning for change in your business. This is a big one. Quite often, clients that are starting out are thinking smaller or perhaps bigger than reality makes possible. Examples include naming your business with a local place name in the title because you don’t foresee doing business any further than your locality. This obviously has ramifications if you ever decide to move or expand your business. Not checking other business names locally or nationally. Perhaps you’re thinking of always being a local business and other companies with the same name don’t bother you. But this could change if you decide to expand nationally. Using your own name for your business. What happens if you expand and take on more staff? Sometimes it’s absolutely fine to continue with your name as the brand, but this may not always be desirable. Being too specific or too broad. When you start your business, you may be adamant about it’s core service, but often things can change as you learn more about your market and customers. If you want to shift your focus, you may handicapped by your choice of business / domain name, so it can be useful to name your business more broadly. For example: “Colin’s Clutches” might be problematic if you go on to service all parts of automotive systems. Your domain name is important too. Yes, you can always buy another domain name, but consider that domain names are tied to your website and develop authority with search engines over time, so if you suddenly decide to change your domain name, you may find that you lose ranking in Google. Of course, your domain name and business name don’t have to be the same, but it’s usually a good idea if they are. If you’re not sure about you domain name, you can always buy several and point them all to your website. Just make sure that they’re relevant to your website/business. It’s a very difficult part of starting a business, but choosing a business name has plenty of potential pitfalls, and it’s worth spending time on getting it right. Setting pricing is a difficult task. How do you know what people will be willing to pay for your product or service? Yes, you can check what the competition are charging and base things around that, but if your business is more unique, this may not be so easy. If you set out with pricing that’s pitched too low, it can be difficult to raise them later without upsetting people, so maybe it’s best to start a bit more expensive than you’d expect and see how things go. It’s far easier to lower prices than raise them! Another thing you can do is create offers before you lower your pricing permanently as a means of testing out whether different pricing is more attractive to potential customers. Experiment with different percentage discounts or money off coupons. It may be that the competition are cheaper, but what if you’re providing something they don’t? Perhaps your service or product is of a higher quality, costs more to provide or source, or is more exclusive. Maybe the way you make your service available is less regular than other services and can command a premium for being available in a more ad-hoc way. Freelancers often have higher hourly rates than employed workers because they can’t guarantee the regularity of income the way employees can. You may need to consider what your product or service is worth based on your time, effort, quality, expertise and costs. Can you poll your potential customers? Using a platform like Facebook can be useful for polling a group of people to find out what they would pay for a particular service. You could create a poll that targets different audiences to find out what different kinds of people will pay. No one wants to have to rebrand their whole company after 2 or 3 years when things are starting to take off. Sure, it might be necessary, particularly if you’ve learned a whole load of stuff about your service and market and need to change direction, but if you can help it, it’s always good to start off with a professional image and put your best foot forward. Don’t be tempted to just “make do” with a shoddy logo and website. Getting your logo designed professionally is a Very Good Move. A good logo sets up the colours, fonts and styles for the rest of your branding and will affect everything from your website’s design, to your printed stationary and advertising materials. Although it’s possible to do this yourself with the wide range of excellent apps available, I still think it’s a better move to get a professional to do it. They have a greater insight into what is trending visually, and they’ll probably (hopefully) have better design skills and experience that will allow them to make something top-shelf quality for you that will be memorable and eye catching. Check out www.fiverr.com for a good place to go logo-designer shopping. Hey, I get it… You’re trying to keep your startup costs as small as possible. You’ve been bombarded with adverts from people like 1&1 and Wix telling you how easy it is to make your own website, and everywhere you look, it appears as if having a website may not set you back anything more than a couple of quid a month. “Awesome!” You think to yourself. That will save me a ton of cash – I’ll build my website myself. Whilst there is nothing stopping you doing this, I would caution against it for the following reasons: 1) you’re probably not a website designer 2) It will most likely take you far longer than you expected 3) it will end up looking 5 times worse when you’re done than when you started. 4) Eventually you’ll hit the limits of its and your abilities and you’ll need to start again elsewhere. Obviously, I’m going to recommend you get a professionally designed website! But as our service shows, you don’t have to part with thousands of pounds to get a great looking website that presents your business professionally, and saves you time and money through its sophistication. It will cost a bit more than a basic DIY site though since experts are involved. I’d compare getting a DIY website to fitting your own kitchen or bathroom. It depends on your experience, but generally, none of us have the experience of the professionals. If you want an excellent job, you probably don’t do it yourself. I know – I’ve fitted both myself and although they’re pretty good, I’m aware of all the niggles that show the limits of my ability and it annoys me! There’s stuff a professional would have been able to do differently and better because of their knowledge. And so it is with websites, except a well planned and executed website will SAVE you time because of all the things it automates for you. There’s definitely a place for doing things cheaply sometimes, but I think if you’re serious about what you’re about to embark on, and you value yourself and your abilities, then getting tooled up with professional representation is the way forward.